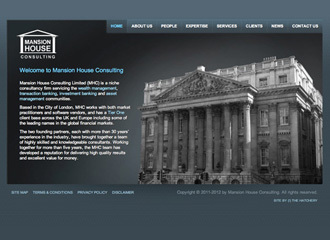 Mansion House Consulting Limited (MHC) is a niche consultancy firm servicing the wealth management, transaction banking, investment banking and asset management communities. 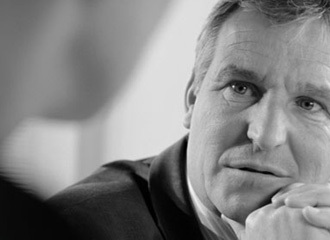 Based in the City of London, MHC works with both market practitioners and software vendors, and has a Tier One client base across the UK and Europe including some of the leading names in the global financial markets. Create a site that requires little to no scrolling on the part of the visitor, and which showcases the professional nature of the business with strong imagery and minimal text. 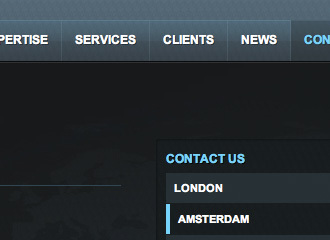 When it comes to websites, seldom is brevity employed, and much is it often appreciated. 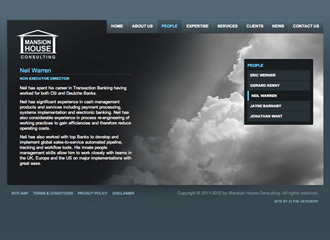 People tend to browse informational websites looking at pictures more than reading text, and it was this premise that underpinned the Mansion House Consulting website design and development brief and deliverable.